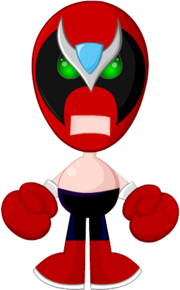 Have any of you seen Homestar Runner before? My sister and I used to watch it all the time on the computer growing up and thought it was hil-a-ri-ous! 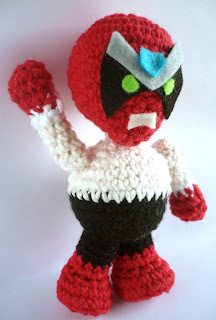 Strong Bad was mine and my sister's favorite character. Doesn't the light in the background look like the backdrop from a 90's school photo? An ode to the 90's popularity of this little guy. 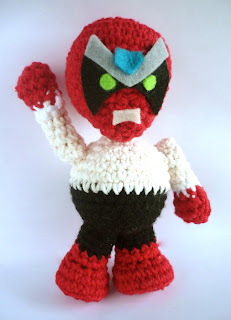 I totally did that on purpose ..
Yay for geeky crochet! Hope you're having a great week!